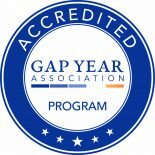 If you are looking into options for your gap semester, you will know that there are many programs to chose from. How do you pick the program that is right for you? Consider location, length, cost, group size, and details of what you will actually be doing on a day-to-day basis. Youth International has over twenty years of experience organizing small group travel experiences that connect students to foreign cultures in an authentic way. Your group will consist of 14 students at the most, with 2 experienced leaders traveling with you at all times. We set up the opportunities for intense cultural interactions, through home stays and volunteer work in a variety of different communities. It is up to you to get out there and make the most of these opportunities, to interact as much as you can with the local cultures, get to know people, and let them into your heart. This program is not easy… It will challenge you to step outside your comfort zone! In return you will be rewarded with a profound understanding of new cultures, a better understanding of self, and the tools to be a savvy independent traveler. Youth International is just the beginning, opening the doors for you to see the world in a whole new way.